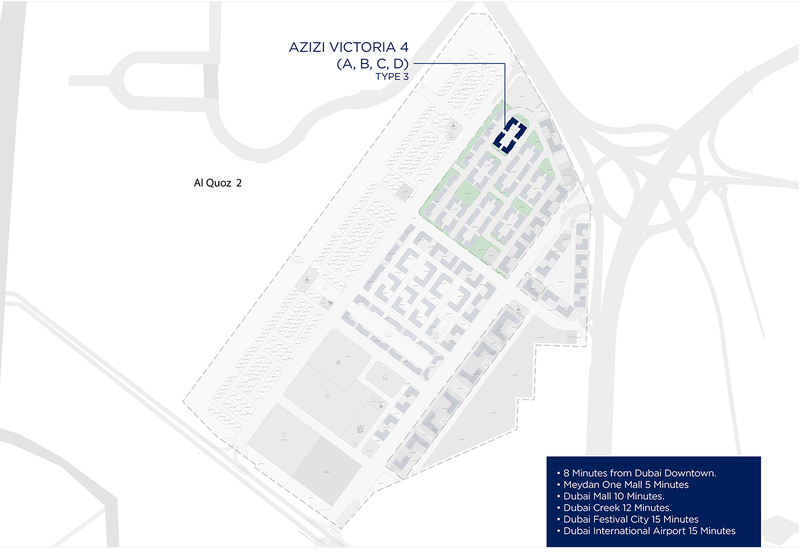 Azizi Development comes with its new project “Victoria Apartments”, a new upcoming project in Mohammed Bin Rashid Al Maktoum City, District 7 Dubai. 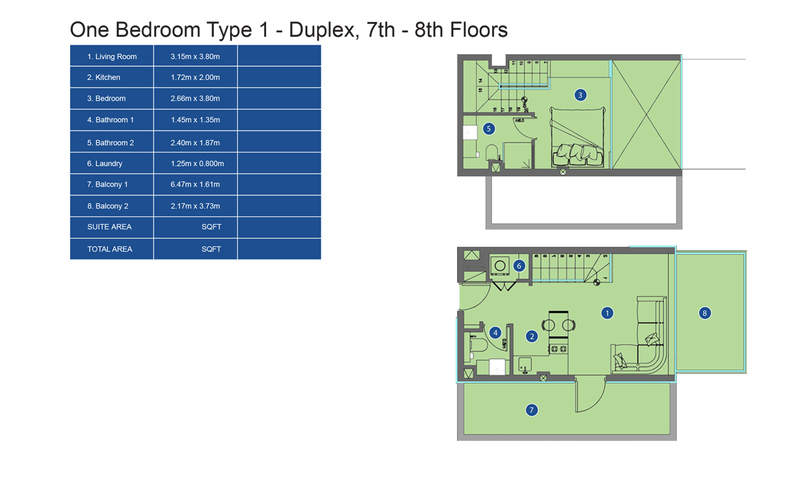 Offering Studio, 1, 2, 3 Bedroom Apartments in building height 123.52 Sqft., Total 550 unit are available. 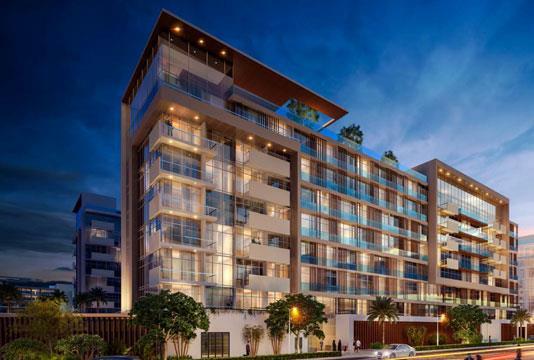 The new Azizi Victoria will offer residents a taste of the unmatchable British lifestyle, from its charming living spaces to its vibrant streets filled with a variety of excellent retail options. The project is centered on community living, emulating the perfect balance of entertainment, work and living spaces from Victoria, London. We understand the need for clutter-free and fuss-free clean living. 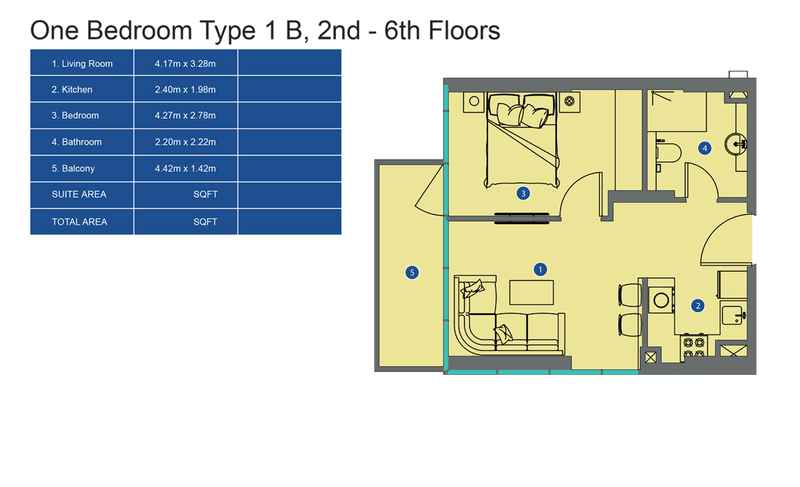 Which is why our apartments offer the best in design and amenities without compromising on being inviting and warm? 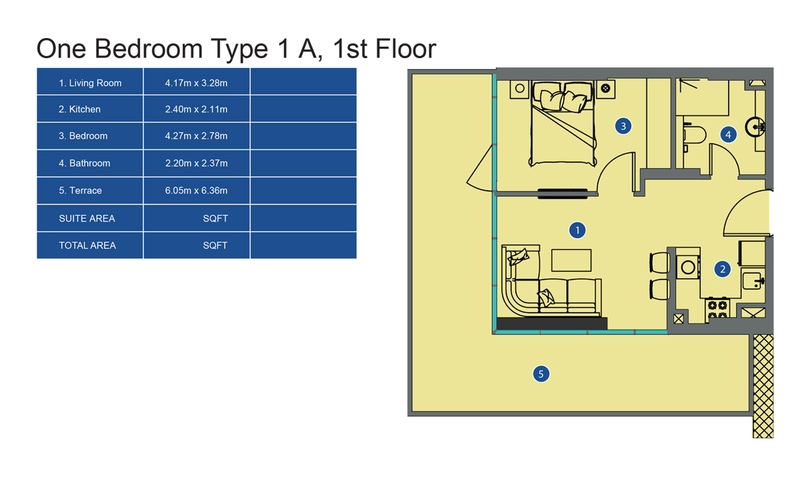 We chose only the best of fittings, tiling, and flooring to give the apartments a contemporary, welcoming feel. 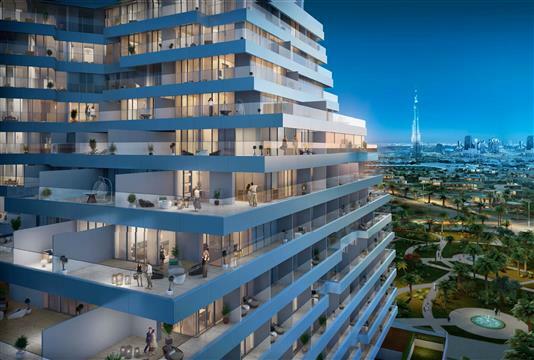 Seamless balconies and floor-to-ceiling windows make for some of the best decks in Dubai. The elegant wood paneling adds rustic charm to these outdoor havens, while you enjoy the bustling street life below. At night, enjoy spectacular views of Dubai’s landmarks and the bright city lights. Positioned as a vibrant hub of activity, this new and exciting project aligns with HH Sheikh Mohammed bin Rashid Al Maktoum’s Vision 2021. 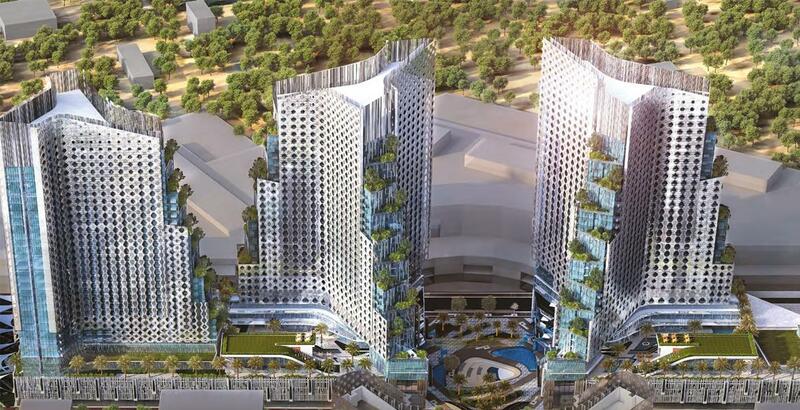 Azizi Victoria will be home to 30,000 units – studio, 1, 2 and 3 bedroom Apartments – a mega integrated retail district, high-end hotels, lush greenery, parks, and gardens, with modern, futuristic. The project also includes retail, cinemas, schools, medical clinics, and other modern necessities. The mix-use development will offer everything Dubai’s residents need – accessibility, contemporary architecture, spacious apartments, excellent retail and shopping choices, and all the modern conveniences expected in this multicultural city. At Azizi Victoria, we want our customers to not just live the good life, but live a great life. Hence, the project will also include several gardens and parks to create beautiful open spaces to relax at any time of day. Whether you want to take the kids for a walk in the park, exercise in the fresh air or just relax with friends after work, these open spaces will offer a welcome escape from the city. 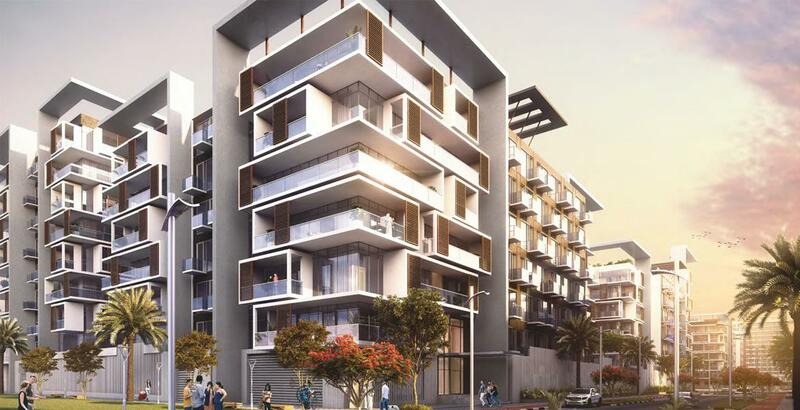 Victoria Apartments by Azizi Developments will offer charming living spaces with the choices of Studio, 1, 2 & 3 Bedroom apartments with a variety of retail options which is available at very affordable Starting Price and an option of easy Installments Payment Plan. 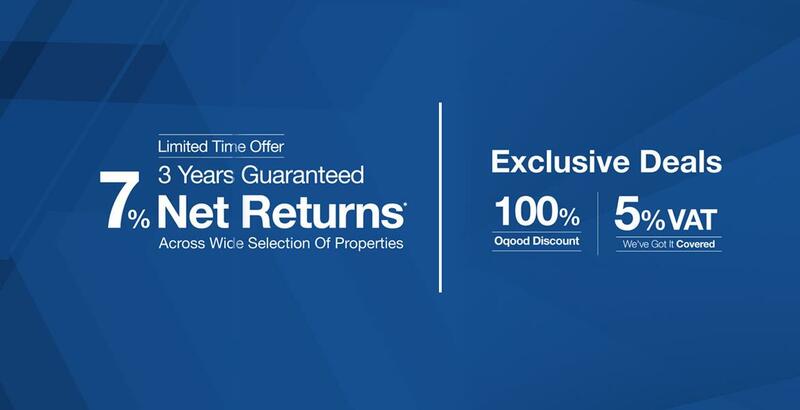 Note: Prices are subject to change without prior notice, should be verified at the time of booking. 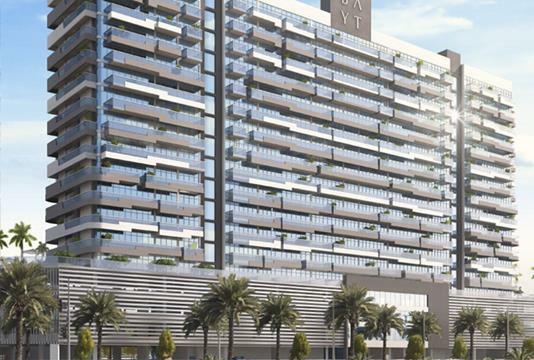 Azizi Victoria is easily accessible via Business Bay, Sheikh Zayed Road, Al Khail Road and Meydan Road. It is also well-connected with several key RTA projects, including bus/metro/ rail lines and bicycle paths. Landmarks like World Trade Center and Dubai Downtown are a mere 8-minutes drive away, with the Meydan Hotel. 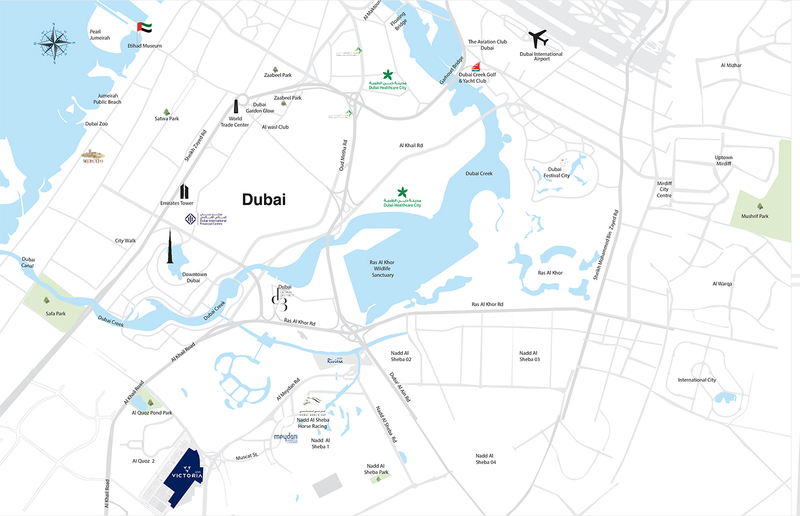 Upcoming Meydan One Mall being just a 5-minutes bicycle ride away and Dubai International Airport 15 minutes drive. Keeping in line with contemporary community living, Azizi Victoria combines the best of British living with modern design and architecture in a nod to Dubai’s futuristic ambitions. This is the ideal place for the best work-life balance in Dubai. Whether you are at work, play or simply relaxing, Azizi Victoria has it all and more. You can engage in family-friendly outdoor activities, leisure, dining and retail therapy, all within minutes of home. Live the high life of the best that the British lifestyle has to offer without ever leaving Dubai! 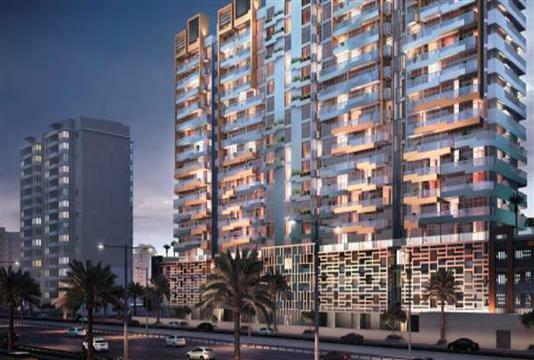 Azizi Victoria is creating a new paradigm for community living in Dubai and we welcome you to be a part of it.